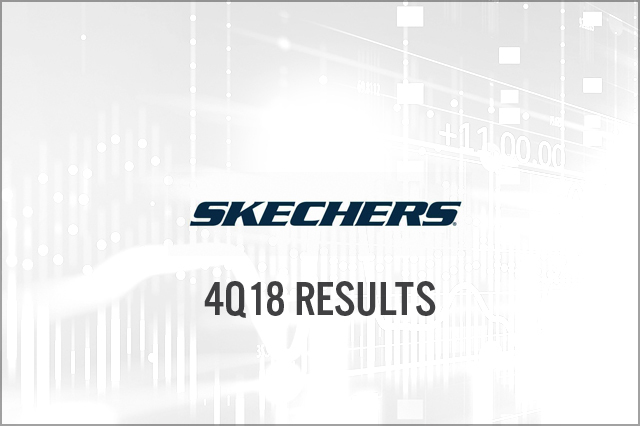 For 4Q18, Skechers reported $1.08 billion in sales, missing the $1.1 billion consensus estimate, and $0.31 EPS, beating the $0.23 consensus estimate. Mainly driven by international stores, comparable same-store sales were up 1.1% in company-owned retail stores during the quarter. The company estimated sales will be $1.275 billion to $1.3 billion and EPS will range from $0.70 to $0.75 in 1Q19.